Featuring artist quality collection of realistic and collectable wildlife Birds 4 sculpture artist editions. • "Cast Stone"; made in USA exclusively by Chris Dixon Studios. • The artwork is cast with hand painting to a very natural look. • State of the art rotationally cast, high strength and nontoxic 'Poxy-porcelain©'. • Indoor - outdoor, light weight and scratch resistant - Absolutely Beautiful. • World wide collectable artist with 27 years of professional sculpting experience producing fine details and quality of craftsmanship; made in USA exclusively by Chris Dixon Studios. An amazing waterbird art sculpture at any price. • The artwork is cast with hand painting exclusively by the artist to a very natural look. • State of the art rotationally cast 'Poxy-porcelain©', a unique high strength durable and nontoxic material. 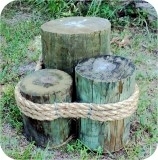 • Indoor / outdoor, light weight and scratch resistant - Absolutely Beautiful. • World wide collected artist with over 30 years of professional sculpting experience producing fine details and quality craftsmanship. Custom made in USA exclusively by Chris Dixon Studios. 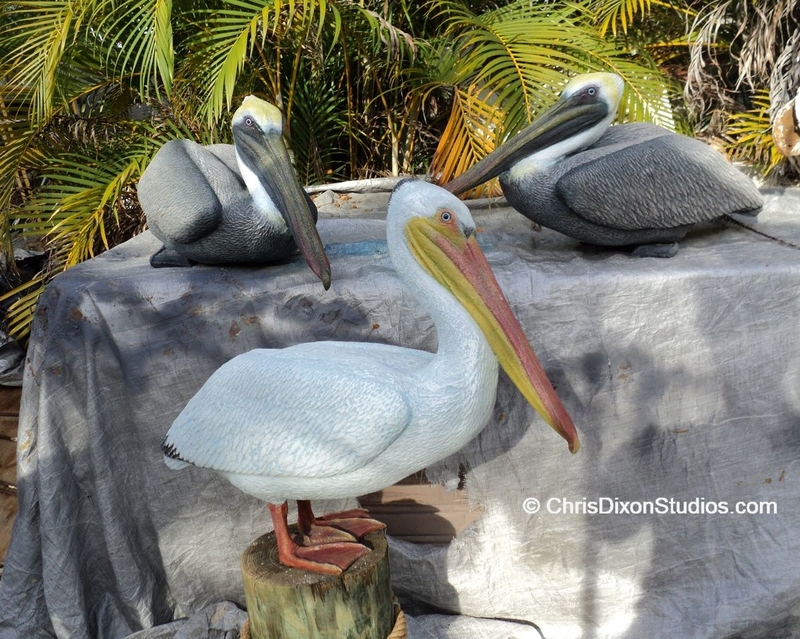 Try a custom made base with a pair of our life-sized pelicans or herons for an awesome statue. Custom made-to-order; made in USA exclusively by Chris Dixon Studios. Awesome Super realistic Life-size Brown Pelican wildlife art sculpture, pelicans are also available as the lifesize White Pelican. This shorebird is suitable for exterior use in the porch or garden; with the wildlife! Truly an amazing waterbird art sculpture at any price. • The artwork is cast with hand painting to a very natural look. • State of the art, high strength and nontoxic 'Poxy-porcelain©'. • Indoor - outdoor, light weight and scratch resistant - Absolutely Beautiful. • made in USA exclusively by Chris Dixon Studios. Pelican, Heron.. .. Waterbirds.. .. Ducks..